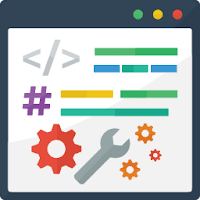 Most useful online/web-based development tools suitable for both beginner and professional web developers, that will help you to become a better developer and improve your productivity. Google PageSpeed Insights - A tool from Google that will analyze the content of your website, then generates suggestions to make that page faster. GTmetrix - A free, comprehensive tool that analyzes your page's speed performance. Pingdom - A free Website Speed Test to analyze the load speed of your websites, and learn how to make them faster. WebPagetest - Run a free website speed test from around the globe using real browsers at consumer connection speeds with detailed optimization recommendations. Varvy SEO Pagespeed - Find out what is slowing down your site. Dotcom-Monitor - Test your website speed from multiple locations worldwide. GiftofSpeed - Offer website speed test, tools and techniques to optimize page speed. FreeFormatter - Validates the HTML string/file for well-formedness and compliance with w3c standards. W3C CSS Validation Service - Validates Check Cascading Style Sheets (CSS) and (X)HTML documents with style sheets. Unused-CSS - Detect Unused CSS. Can I use - Up-to-date browser support tables. ReadyMobi - Check if your website mobile ready. ResizeImage - Free online image resizer. ResizePicOnline - Convenient online tool to resize images. TinyJPG - Smart JPEG and PNG compression. Adobe Color CC - Create color schemes with the color wheel or browse thousands of color combinations from the Kuler community. Coolors - Super fast color schemes generator. Canva Colors - Design Wiki on Colors. Material Palette - Material Design Color Palette Generator. Color Safe - Generate Color Palettes. EnjoyCSS - advanced online CSS3 code generator With a simple graphical interface. CSS3 Button Generator - simple CSS3 button generator. LolColors - Curated color palette inspiration. CSS3Menu - Create free Drop Down Menu with pure CSS. CSS Button Generator - Create a Button with CSS. Button Generator - Create HTML and CSS Button Styles. 3D Ribbon Generator - A generator for beautiful 3D ribbons with pure CSS. Pixlr Editor - Online Photo Editor. jsFiddle - playground for web developers, an online editor for web snippets. Helps to isolate bugs. TextMechanic - Find and Replace Text. Firefox Eyedropper - Build-in tool in Firefox that enables you to select colors in the current page. ColorZilla - Read colors from any point in the browser. WhatTheFont - Detect font from an image. WhatFont - Easily get font information about the text you are hovering on. Fount - Identify any web font you see in the browser. Screenfly - Test your website on any screen size including desktops, tablets, televisions, and mobile phones. TWBSColor - Generate your own Bootstrap navbar. BuiltWith - Find out what websites are Built With.